We could add being easy to upgrade into the mix as well. However we want to focus on these three. If you want a high quality airsoft gun, then it’s going to be important for you to focus on brand. Brand is important because if you go with a good brand you are investing in the reputation of that name. At Airsoft Core we certainly believe this to be true, which is why we carry a lot of the more well known brand names in the business. Superior brand name means trust, reliability, durability and even respect. The only negative is that we all know the more highly regarded a brand is for airsoft guns the more expensive they will be right? Well this doesn’t always have to be true, but it’s generally the case. Remember, with a good airsoft gun you can be a force to be reckoned with in competitive play. So you should look at the purchase of one from a good quality brand as an investment, not an expense. What we want to do is a little different here though. We don’t want to focus solely on price, because this would be too easy. At Airsoft Core we believe users should focus on getting something tailored to the type of player they are at the moment. We also believe users should focus on the specific feature they value most. Not only is this good, but it can be a way for you to save money by not having to go with a more expensive brand name. So what we’ve done is taken the best Airsoft brands and BB manufacturers and we’ve split theme up based on several factors. These would include airsoft guns brands that are best for ‘Skirmish Standard’ experienced, intermediate & beginner players. At the end we’ll also give users our pick for airsoft brand based on a specific feature. Hopefully this will help potential buyers to know exactly what they would be purchasing before they get it. Let’s get started. A&K Airsoft isn’t the first place a lot of potential buyers of airsoft guns would look first, but they are solid. Their primary focus is on performance based options. Most users look at them as being good for entry level users. The reason for this is because they have options that are not only solid, but easy to get accustomed to. The prices are low enough to give a user access to a plethora of options as well for the purpose of testing. A&K Airsoft focuses mostly on rifles, carbines as well as other forms of machine guns. At Airsoft Core we don’t advise users to make these into a primary gun. We feel that this brand is best for using as a secondary option to a primary airsoft gun you would use. The prices vary from as little as $150 to as much as $350. If you’re willing to take the time to research though you might be able to find some of the higher priced options at a discount. Cybergun is a maker of airsoft guns that’s French based. Their primary focus is on making replicas of guns that are both real and fictional. 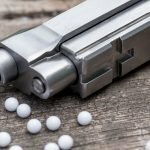 Users will find that the guns they make aren’t as well made as some of the other brands out there, but the low prices offset this to a certain degree. Their low prices make it so that users are able to try out different airsoft guns until they find something well suited for them. Beginners and even intermediate players need this versatility. One of the knocks against them though is a lot of their airsoft guns are made primarily with plastic. Another thing that’s good about Cybergun is that they do have a lot of accessories users will appreciate. Some of these would include optics as well as targets. It’s one thing to have an airsoft gun, but you’re going to require something to practice on in order to get a good feel for the gun. Once again this is perfect for beginners and intermediate users. You can expect to pay little under $50 for the majority of their guns. Another important point to note about this company is that in most cases it’s going to be hard to purchase from them directly. So a good third part seller is crucial here. You could look at CYMA as a form of copycat maker or what we call in the business a close manufacturer. They tend to focus a lot of creating replicas of Tokyo Marui as well as other top of the line airsoft gun versions. The main difference you’ll find with them over other low budget options though is that they create pieces using a blend of metal parts and plastic parts. The reason we feel this is important is because with metal it provides a better sense of durability. Plastic makes it so that the gun isn’t too heavy and also enables a user to have an easier time using the gun. Users will particularly like the AK line they offer, especially if they take into count the high quality motor, metal receivers and the design that can be easily upgraded. With all this in mind we still feel that they aren’t as built to last as some other high end brands might be. This means it best suited for beginners or intermediate players. You have to purchase them through a good third party seller though, because they don’t have an online store to purchase from directly. ICS is a manufacturer of airsoft guns that is based in Taiwan. Their primary focus is on guns that would be considered innovative. You’ll find that a lot of their products are known throughout the industry for being durable, with a split gearbox design that makes keeping the gun maintained simple. On top of all of this certain accessories needed for their airsoft guns tend to come with them when purchasing. This is a good thing, because it means users won’t have to go looking in other places with the hopes of finding what they need. The only knock on ICS is that some of their parts don’t tend to match well with those coming from other brands. This is going to make it tougher to mix and match different pieces rather than purchasing brand new components. If you don’t mind staying with one manufacturer though, then this won’t be an issue. We feel ICS is good for intermediate players because the accessory capabilities will be easier to understand for such a user. A beginner would only be concerned or should only be concerned with getting accustomed to the basic uses of their piece. SoftAir USA is a brand that’s a part of the Cybergun group and one of their main points of focus would be performance. Does this mean the brand doesn’t care as much about look? Absolutely not. The look and feel of their airsoft guns is quite well, but maybe not as much as the top tier brand options. They do have several budget options for users, but in most cases you’re going to find that their prices tend to be anywhere from $100 to $350 in range. You’ll find a lot of their products are mostly metal if not complete metal, which makes them very tough ( but heavier than what some users might like). There are specific models a user might want to take a look at from this company such as the Colt 100th Anniversary M1911 A1. If the goal is to get a side arm you can rely on then this option is worth considering. We don’t consider SoftAir USA to be what we would call a top performance brand, but we still feel that it’s one of the more reputable brands in the business. Intermediate players will appreciate them for sure. AGM is a Chinese based manufacturer that makes airsoft guns we would say are a toss-up between budget and performance. We feel this way because depending on what type you get you’ll get one more than the other, but rarely will you be able to get both at the same time. One usually has to be sacrificed. AGM tends to focus on guns that would be considered unconventional. Yes they have airsoft guns such as machine pistols and rifles, but they also make a multitude of high power pump action shotguns as well as high power sniper rifles. The serious knock on them and the reason we feel they work best for intermediate play is because they tend to not be built to take rough game play. Because of this users are going to have to keep in mind the main purpose they tend to use their products for. A backyard skirmish might work well in this case. The airsoft guns we’re about to mention now work well for experienced players and those who like to take part in skirmishes. The reason for this is because for these types of players they tend to value not only functionality, but superior capability in terms of upgrades. Experienced players and those who take part in skirmishes want airsoft guns they can be sure are going to serve them well, be durable and mimic the real thing as closely as possible. The following three options about to be mentioned are what we feel would work best in this case. Tokyo Marui is based out of Japan and when it comes to airsoft guns they are considered to be one of the best if not the best in the industry. 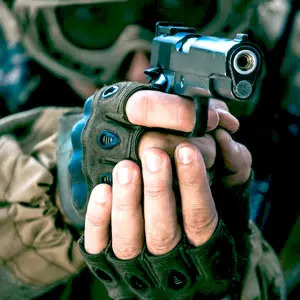 The company is well known for creating superior designs of guns as well as a wide array of products such as electric guns, pistols, spring style as well as sniper style guns. Models from Tokyo Marui tend to have exteriors that are made with plastic and metal or complete metal exteriors. Their models also tend to have gearboxes that can be easily modified, which will go a long way in enhancing performance. The reason why Tokyo Marui works best for experienced players and skirmish style play is because their products tend to be on the expensive side of things. Their airsoft guns are designed with high manufacturing standards. You’ll find that even with used versions of their guns these are going to be in good condition. The parts are top quality and the product line is wide. It’s at the top of the list for experienced players. 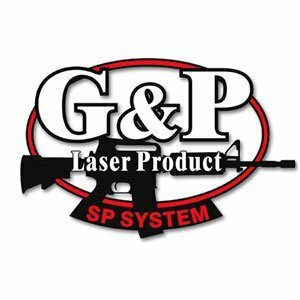 G&P is a Hong Kong based maker of airsoft guns. We feel they work best for skirmish play and for use with experienced players due to the emphasis on military style guns and war-game products. A lot of the products they make are still utilized by armed forced around the globe. G&P offers a multitude of standard airsoft guns such as electric, gas and difference shotgun options. On top of this you can also find a good selection of grenade launcher attachments. The only real knock against this company is that they don’t make a lot of weapons in terms of long range sniper options. If the goal is to play at ranges that are medium or close, then you’ll find a lot of options. Jing Gong is another Hong Kong based manufacturer that creates a lot of airsoft guns that are good versions of high end brands. This is especially true when it comes to the duplicates the company makes for the Tokyo Marui brand. One thing we want to emphasize is that users shouldn’t look at them as being a low budget knock off option. The majority of the airsoft guns and products they make are made with a high level of quality you wouldn’t expect, even with the low pricing. The Jing Gong brand is under the company Fujian Fuxing Industry Paintball Marker Co. Ltd. The company focuses on making sure customers are happy with the products they purchase. Jing Gong is really well known for their SMGs and rifles. However, you can also purchase high quality airsoft pistols from them. So who do AirsoftCore believe is 2019’s Best Airsoft Brand? Now we’re going to take the brands we’ve mentioned and give you our pick for the best brand in a given category overall. We’re talking about experienced, beginner and intermediate players. As for as airsoft brands for beginners go we feel that hands down the best option is Cybergun. The reason we like them for beginners is because their low cost options make it easy for users to acclimate themselves to the world of airsoft. What makes them even better is the quality is higher than what you’d expect for airsoft guns in this price range. Yes, the high plastic content is going to be a problem for some. If you’re a true beginner though this shouldn’t be a problem and it makes it easy for you to not feel overwhelmed. The additional accessories you can find with this company also makes them idea for people wanting to learn first before stepping up to higher end brands. If talking about airsoft brands we feel work best for intermediate players, then we feel SoftAir USA is the best option. Their guns might not be the cheapest, but the focus on performance and metal composition make them a good step up for a person who has learned the ropes with a beginner brand such as Cybergun. Yes, it’s not a top performance option, but it will provide enough versatility to satisfy the intermediate player for a while. And their reputation is solid. For brands that work best for skirmishes and even more serious battles, then hands down we have to go with Tokyo Marui. As mentioned before the complete line of realistic and advanced airsoft gun options they offer just can’t be ignored. Experienced players will have the skill to use their products well and know what to look for in order to get the most out of them. Their line is very extensive and as far as durability you never have to worry about taking it easy with an airsoft gun from Tokyo Marui. Superior quality parts, superior quality build. These are all things experienced players will value. You might have an idea of what brand of airsoft gun would work best for you. This could be because you already have some sort of experience using these guns or maybe you know people who own them. In any case we at Airsoft Core want you to understand that the brands we’ve mentioned here are but a few you can get. There are more that will serve you well, but it takes a lot of time to research them all. There are a plethora of them. So we feel it’s best to focus only on the best known. Brand doesn’t have to mean everything, but it’s a good indicator of what you can expect. We feel this is the case because players of airsoft are very serious. If a certain brand has a bad reputation then it won’t last long in the business. So any brand that has a track record you can be sure has passed the test of airsoft players over the course of time. This is important. Not to say you can’t test out another brand that might not be as well known, but be very careful in this regard. Don’t invest too much money and keep your expectations low. 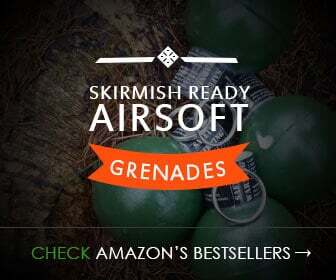 Other Airsoft brands – AirsoftCore couldn’t review them all. Also don’t be afraid to ask around if you are going to go with a brand of airsoft gun that doesn’t have a long and good track record. Odds are someone has experience dealing with that brand and can tell you the honest truth about their experiences. The brands we’ve mentioned here though are tops and won’t let you down. Yes the price varies from brand to brand, but we don’t want users to focus on price too much. Instead focus on the value of what you’re going to get and the reputation behind the brand. 2019's Best Airsoft Revolver: 5 Gas & Sprung Guns Reviewed. Airsoft gun velocity / fps muzzle speed testing – what’s skirmishable?